Two community groups aimed at targeting underage drinking and antisocial behaviour have been launched for Ramsgate and Broadstairs. 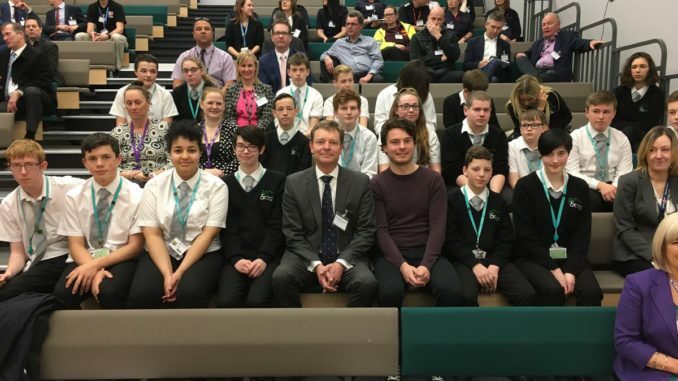 More than 100 people from organisations including Kent Police, Kent Fire and Rescue, Thanet council, St George’s school and isle publicans and retailers attended the event at East Kent College on Friday. The Community Alcohol Partnerships (CAPs) are made up with members from local authorities, police, schools, retailers, neighbourhood groups and health providers. 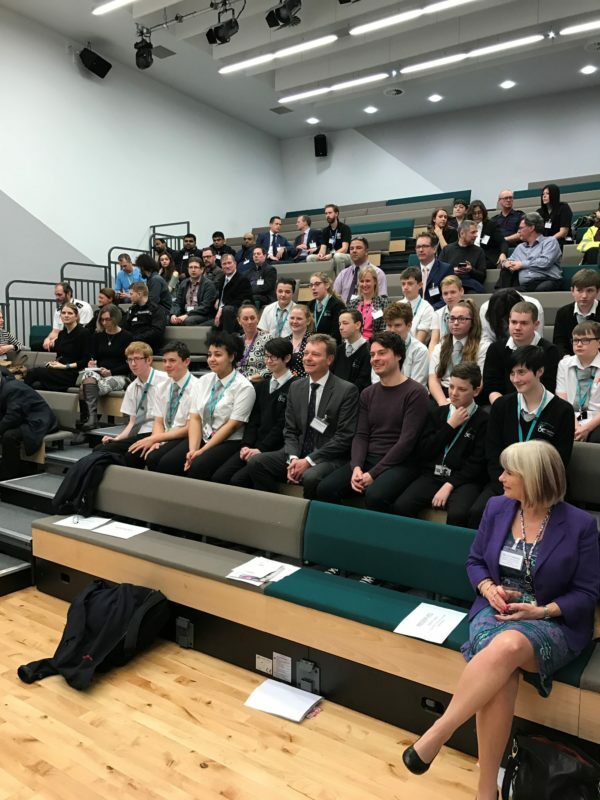 They aim to reduce the sale of alcohol to young people, advise them on the dangers of drinking and provide alcohol-free activities through youth services and local charities. In the run-up to the launch, 30 licensed premises were visited by Trading Standards and the local police licensing enforcement officer to give advice on how to refuse suspected underage sales. 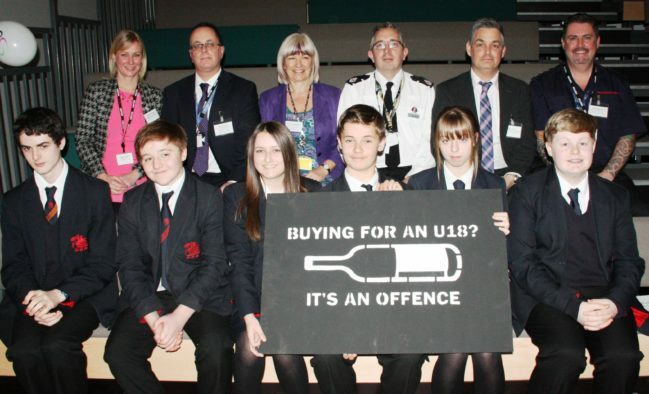 Some 400 pupils aged 14-17 were surveyed in secondary schools regarding their drinking habits. Among the speakers at the launch at East Kent College was Henry Maybury, a 22-year-old singer and songwriter whose brother Tom died from an alcohol related illness aged just 29. Coinciding with the fourth anniversary of Tom’s funeral, Henry performed his song “Lost Days”, which was written in tribute to his brother and has achieved over a million views on YouTube. Henry travels around schools and prisons to share his story and music and provides great support to CAPs throughout the UK, whether by performing, speaking or attending events..
Six pupils from St George’s School in Broadstairs each read their own short essay on the impact they felt alcohol abuse could have and the challenges facing young people. The school had been visited by Henry and his mum the previous day. After the event, Cllr Lin Fairbrass, Thanet District Council’s Cabinet Member for Community Services said: “Community Alcohol Partnerships have an enviable track record of reducing underage drinking and we’re delighted that two new schemes are being launched in Broadstairs and Ramsgate. The CAP groups will target and prosecute adults found to be buying alcohol for under-18s; carry out patrols and confiscate alcohol from young people found to be drinking and work with schools and parents. The Kent CAP is one of 124 across the country.